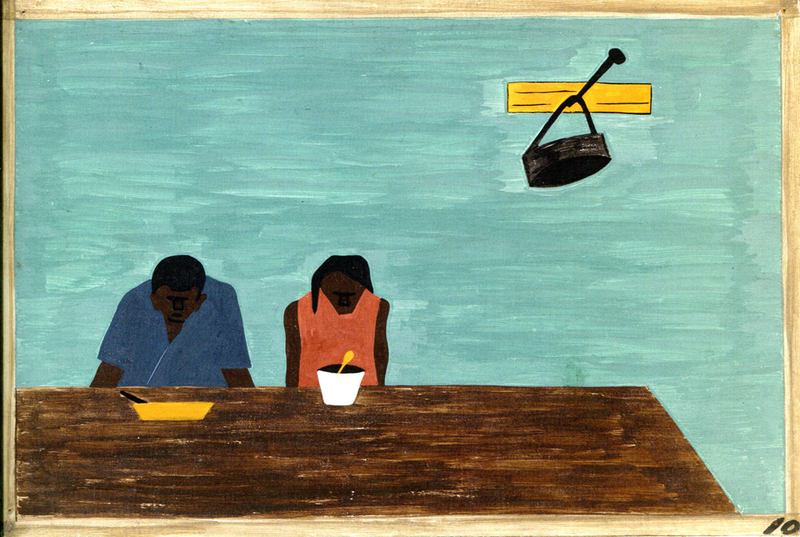 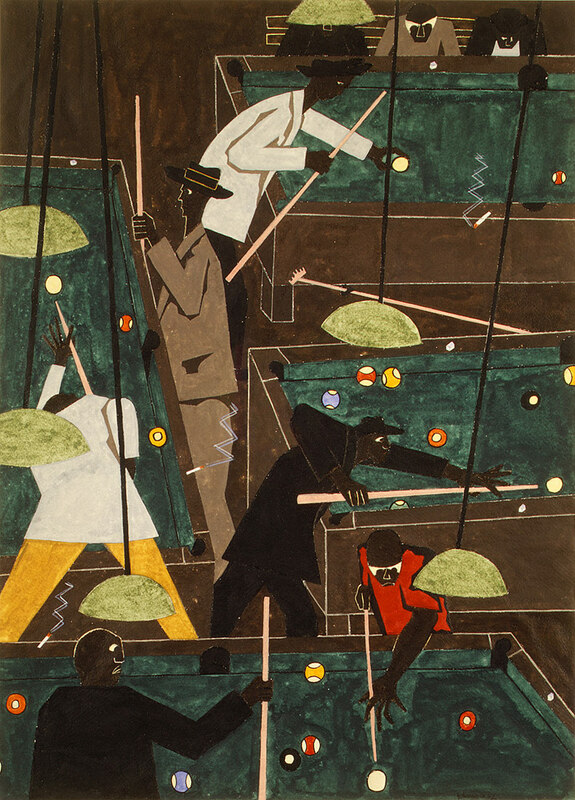 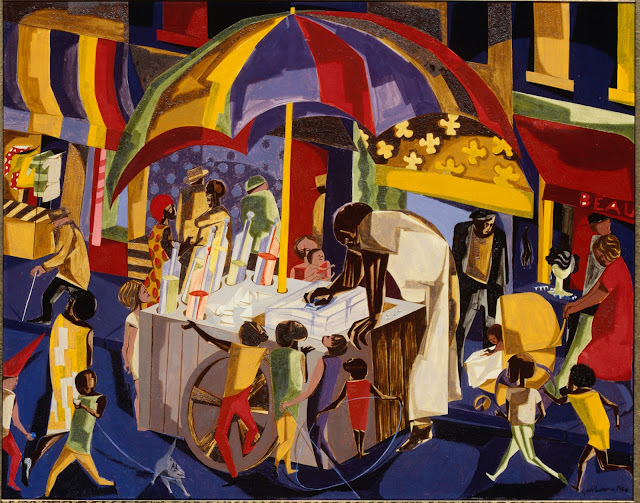 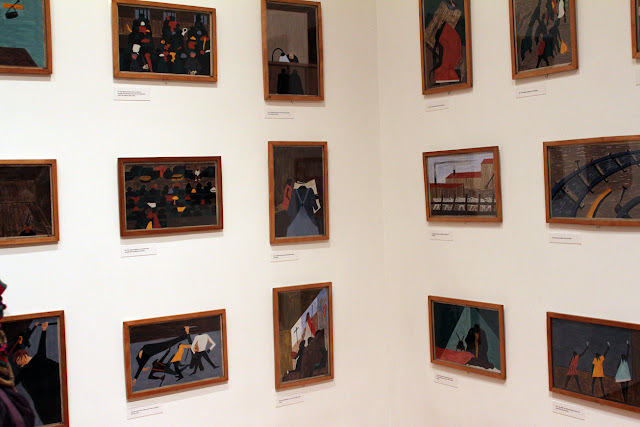 Jacob Lawrence was one of the most important artists of the 20th century, widely renowned for his modernist depictions of everyday life as well as epic narratives of African American history and historical figures. 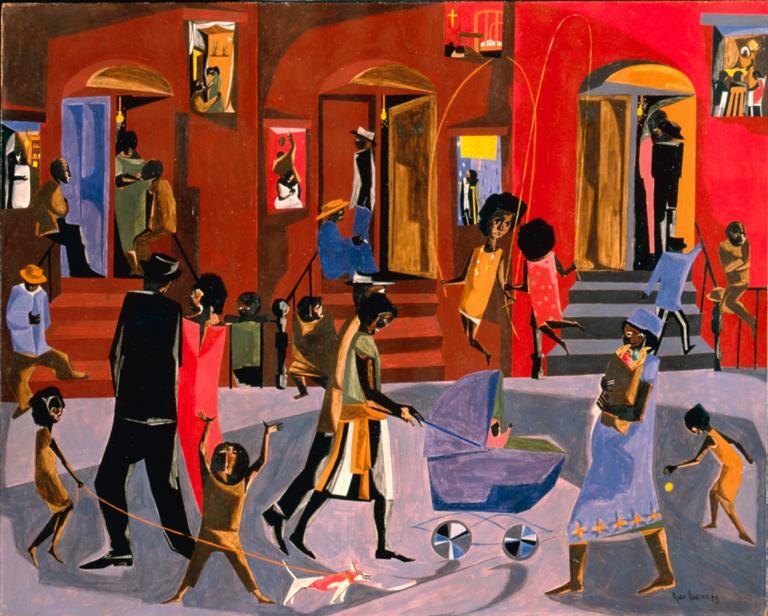 Born in 1917 in Atlantic City, New Jersey, Lawrence moved with his family to Harlem in 1930, where he came into contact with some of the greatest artistic and intellectual minds of his generation. In the previous decade, Harlem had experienced the remarkably creative period known as the Harlem Renaissance, and the neighborhood was still the focal point of African-American culture. 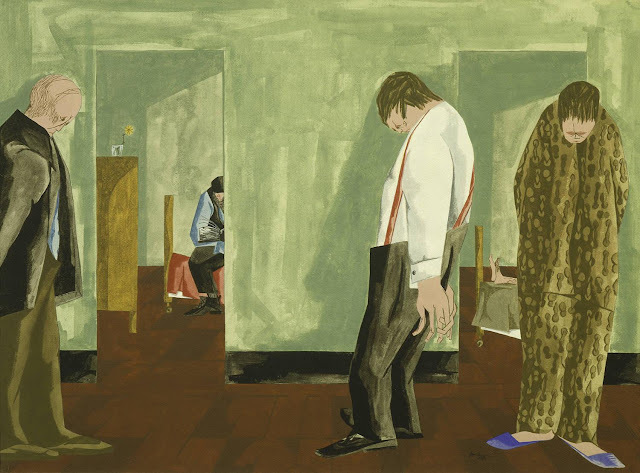 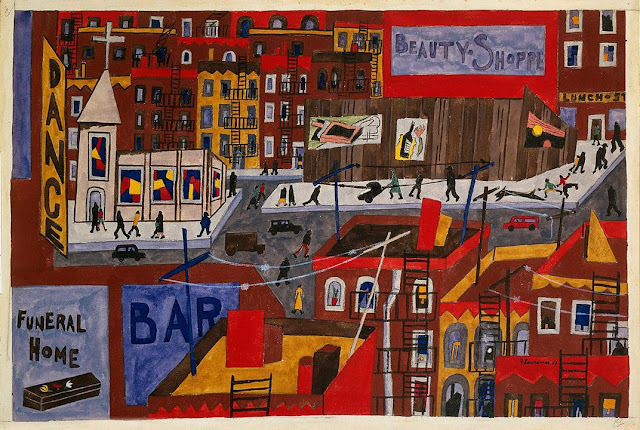 Before he was twenty years old, Lawrence had developed a powerful, concise style that expressed all of the vibrancy and pathos of the neighborhood and its occupants. 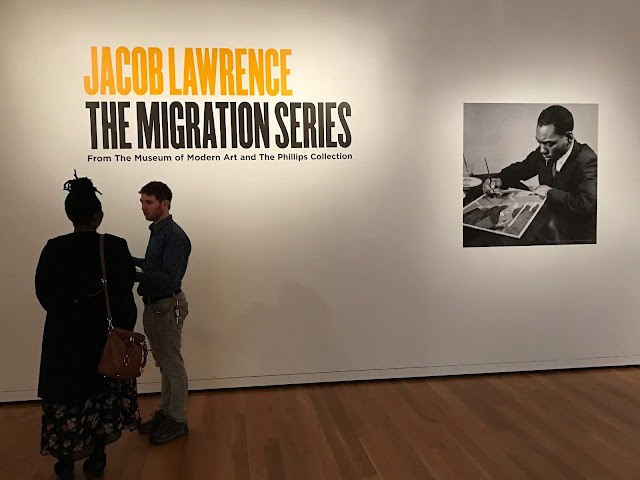 Lawrence became a nationally known figure virtually overnight when his The Migration Series was shown at New York’s Downtown Gallery in 1941. 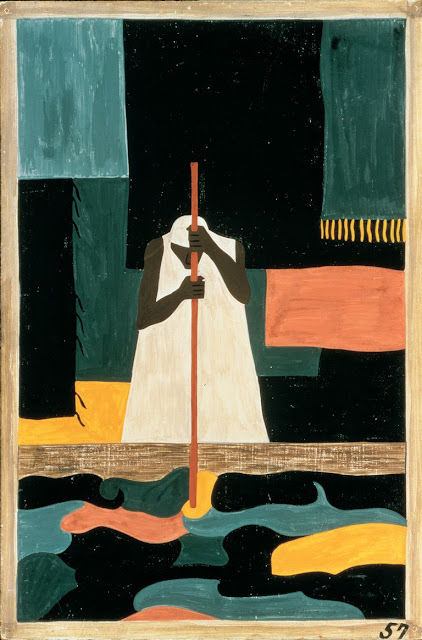 The twenty-four year old artist became the first African-American to be represented by a New York gallery. 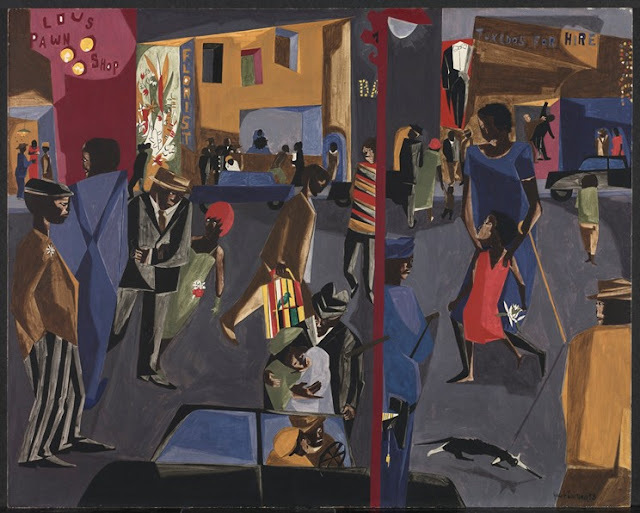 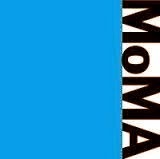 Fortune magazine published a lengthy article on the series that reproduced twenty-six of series’ sixty panels, and the entire series was purchased jointly by the Museum of Modern Art and the Phillips Collection. 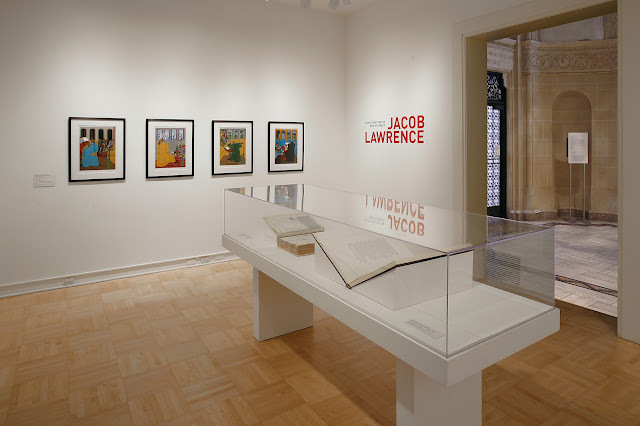 Lawrence was drafted into the Coast Guard during World War II and was assigned duty as a combat artist. Following his discharge, he returned to Harlem and resumed painting vignettes of neighborhood life. 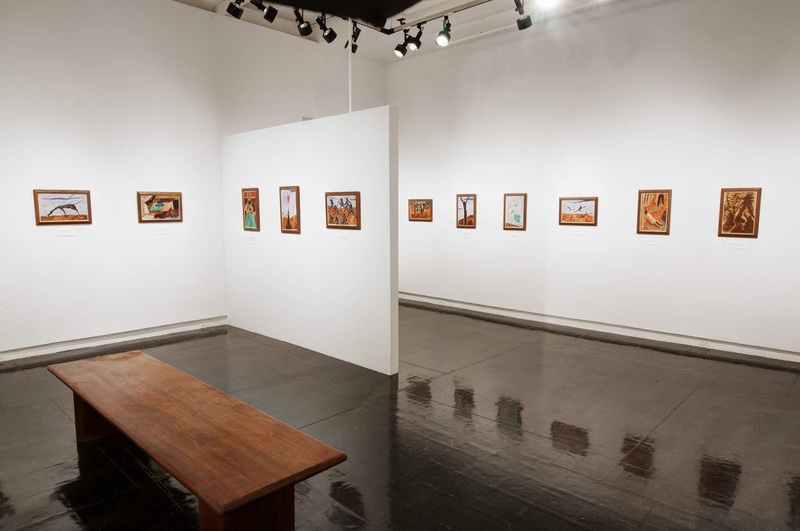 He was invited to teach at Black Mountain College in 1946, the first of many teaching posts he would take over the years. Lawrence received a Guggenheim Foundation grant to paint the War series in 1946 and 1947, and in 1947 Fortune Magazine commissioned him to do ten paintings examining postwar conditions in the American south. His next major series was Struggle: From the History of the American People, produced in 1955-56. 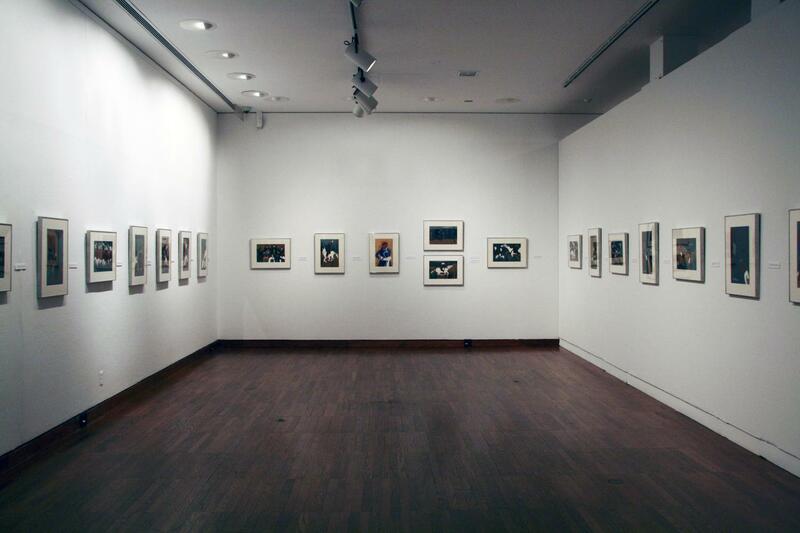 During the 1950s and 60s, Lawrence’s work was characterized by stylistic experimentation and everyday imagery. 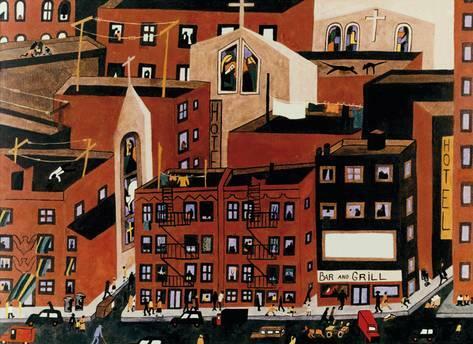 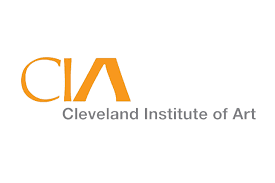 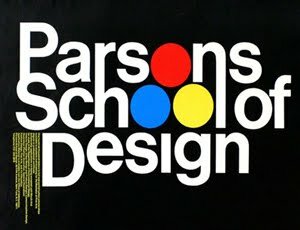 In the late 1960s, he returned to a more straightforward style and optimistic outlook. 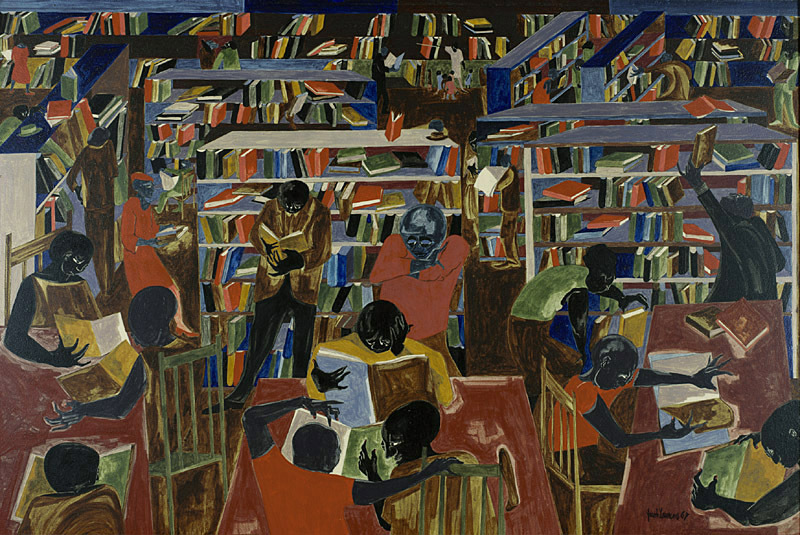 In 1971, Lawrence was offered a permanent position teaching art at the University of Washington, and he and his wife, artist Gwendolyn Knight, moved to Seattle. 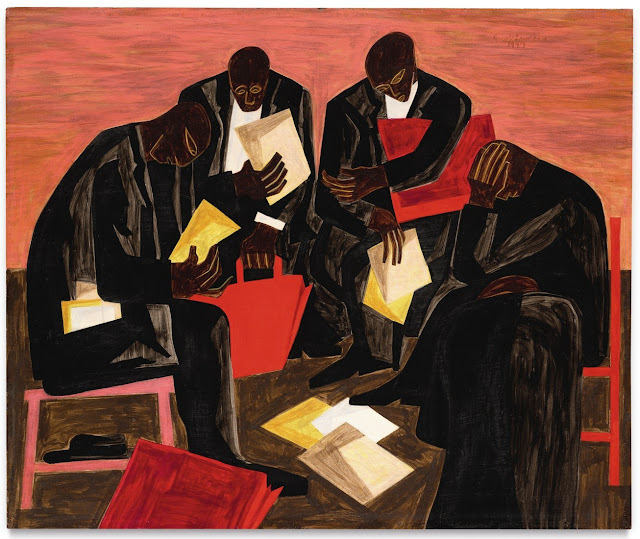 Thematically, he concentrated on the topic of Builders. 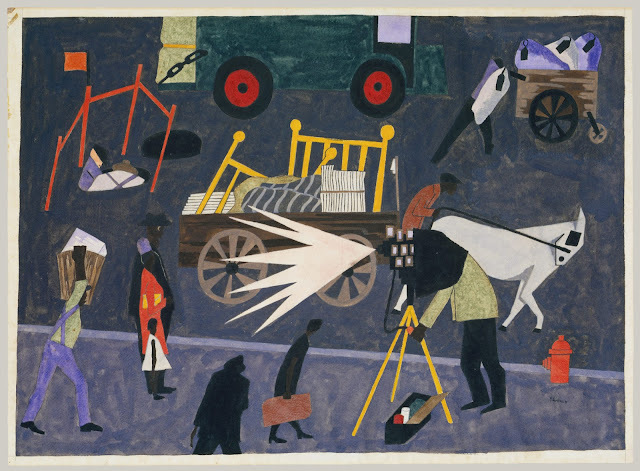 Within the wide field of development offered by the Builders subject, Lawrence underscored a life-long vision of man’s labor and struggle as his major theme. 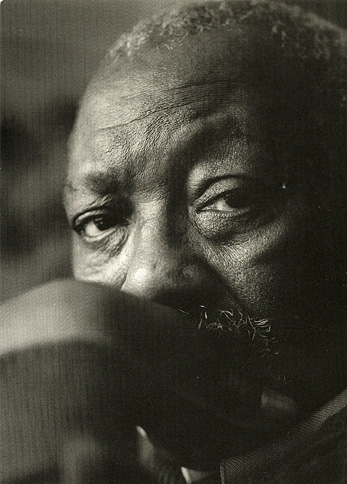 Major traveling exhibitions of Lawrence’s work have been presented in museums across the country, including Jacob Lawrence: American Painter, organized by the Seattle Museum of Art; Jacob Lawrence: The Frederick Douglass and Harriet Tubman Series of 1938-40, organized by the Hampton University Museum in Virginia; and Jacob Lawrence’s The Migration Series, organized jointly by the Phillips Collection in Washington, DC and the Museum of Modern Art in New York. 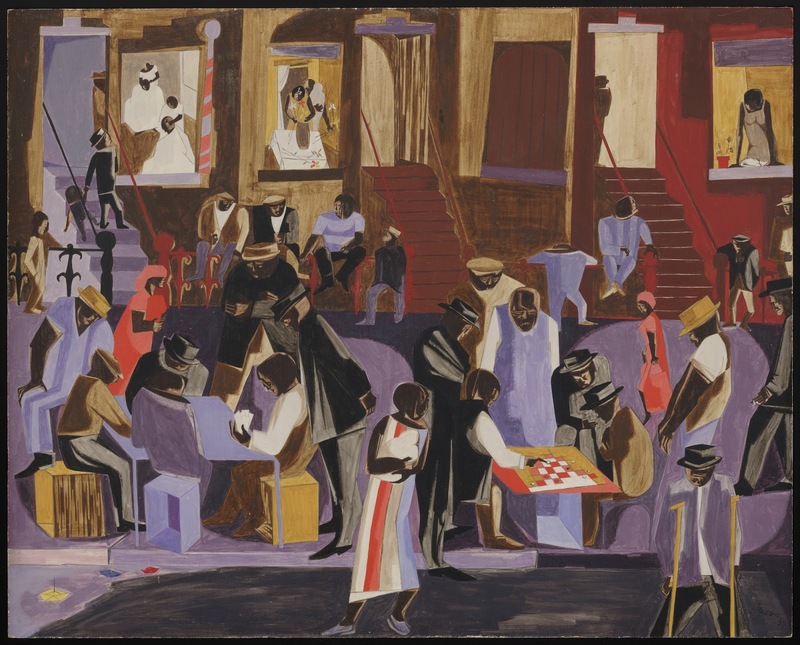 A major retrospective exhibition Over the Line: The Art and Life of Jacob Lawrence originated in 2001 at the Phillips Collection in Washington, DC and traveled to the Whitney Museum of American Art, the Detroit Institute of Arts, the High Museum of Art in Atlanta, GA, the Museum of Fine Arts in Houston, Texas, and the Seattle Art Museum. 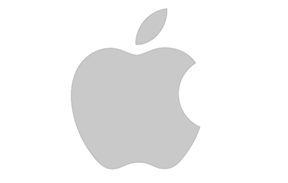 Hi, will like for us to talk.